Periodontitis is defined as an acute or chronic inflammatory disease of the periodontium occurring in response to pathogens from bacterial plaque on teeth. It starts as mild gingivitis where facultative aerobic and anaerobic bacteria present at the gingival margin and in the gingival crevice release a variety of substances that initiate a vascular event of acute inflammation [1Engebretson SP, Emingil G, Lamster IB. Inflammatory Response in Periodontal Diseases In: Wilson TG, Kornman KS, Eds. Fundamentals of Periodontics. 2. Chicago: Quintessence 2003; pp. 144-57.]. As the disease process becomes more advanced it causes destruction of the alveolar bone and periodontal ligament with apical migration of the epithelial attachment. This results in the formation of periodontal pockets with loosening and exfoliation of the teeth [2 Page RC, Schroeder HE. Pathogenesis of inflammatory periodontal disease a summary of current work Lab Invest 1976; 34: 235-49.]. The initial phase of periodontal treatment is a thorough removal of calcified bacterial deposits, biofilms, and smear layer from the surfaces of the teeth and roots. This allows for a healing phase of the soft tissue in order to control disease progression. Surgical interventions are necessary when the disease is more advanced and access to intrabony defects to treat is required. Currently, the most commonly utilized and widely accepted methods of treatment require use of ultrasonic and hand instrumentation in closed or open flap procedures [3 Kaldahl WB, Kalkwarf KL, Patil KD, Dyer JK, Bates RE Jr. Evaluation of four modalities of periodontal therapy. Mean probing depth, probing attachment level and recession changes J Periodontol 1988; 59: 789-93., 4 Pihlstrom BL, Ortiz-Campos C, Mchugh RB. A randomized four years study of periodontal therapy J Periodontol 1988; 52: 227-42.]. Other therapeutic tools and methods have been proposed. They include the use of lasers some to treat only the soft tissue epithelium and others for both soft and hard tissue root surface and bone treatments. The primary goals are the same, which is to initiate healing of the periodontium and control diseases progression. The outcomes of lasers in periodontal therapy have been reported with overall positive results. Dental lasers were first reported by Goldman et al., in 1965 [5 Goldman L, Gray JA, Goldman J, Goldman B, Meyer R. Effect of laser beam impacts on teeth J Am Dent Assoc 1965; 70: 601-.]. Controlled clinical trials and case reports by Watanabe and Schwarz have demonstrated that periodontal treatment with an erbium laser leads to significant clinical attachment gain [6 Watanabe H, Ishikawa I, Suzuki M, Hasegawa K. Clinical assessments of the erbium:Yag laser for soft tissue surgery and scaling J Clin Laser Med Surg 1996; 1: 67-75.-8 Schwarz F, Sculean A, Berakdar M, Georg T, Reich E. Clinical evaluation of an Er:Yag laser combined with scaling and root planing for non-surgical periodontal treatment a controlled prospective clinical study J Clin Periodontol 2003; 30: 28-35.]. In Schwarz’s study, he also demonstrated that the clinical attachment gain was stable at 2 years after treatment with the erbium laser. In addition, pocket depths ranging from 4-6 mm improved by 1.1 mm for laser treatment versus 0.8 mm for hand scaling and root planing. In sites with pockets greater than 6 mm, the laser improved by an average of 3.3 mm versus a 1.9 mm improvement in the hand scaled sites [9 Schwarz F, Sculean A, Berakdar M, et al. Periodontal treatment with an Er:Yag laser or scaling and root planning a 2-year followup split mouth study J Periodontol 2003; 74: 590-6.]. A technique in treating infrabony defects, described by Prichard in 1957, removed the epithelial lining within the periodontal defects with the goal of obtaining new attachment [10 Prichard J. The infrabony technique as a predictable procedure J Periodontol 1957; 28: 202-16.]. While gaining some attachment, there was significant gingival recession reported in the Prichard study. 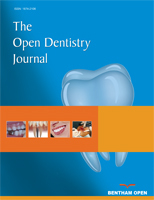 In a study by Becker et al., fourteen defects were treated with a flap method and debridement based on the Prichard principle of epithelial exclusion [11 Becker W, Becker BE, Berg L, Samsam C. Clinical and volumetric analysis of three-wall intrabony defects following open flap debridement J Periodontol 1986; 57(5): 277-85.]. The initial gingival recession reported in the study was 0.78 mm and at re-entry 9-16 months later the recession was 1.62 mm. By using dental lasers, it may be possible to achieve new attachment without the recession reported with the Prichard technique. While there are no reports on the use and benefits of the erbium, chromium:yttrium-scandium-gallium-garnet (Er,Cr: YSGG) laser (Waterlase MD, Biolase Technology, Inc., Irvine, CA) for periodontal therapy, properties of this 2.78 µm middle infrared wavelength together with anecdotal clinical data have motivated use and documentation of cases by clinicians within the periodontal community. This laser has hard and soft tissue applications, including periodontal therapy. This study is a retrospective analysis on the effectiveness of the Er,Cr:YSGG laser in this application. Clinical findings from patients with moderate to advanced periodontal disease that have been treated with the Er,Cr:YSGG laser and followed for up to 2 years are reported in this study. Treatment was minimally invasive because a surgical troughing technique was used instead of a modified Widman Flap to increase access and visibility at the site. The primary goal of this study was to present the clinical changes in probing depth (PD) and clinical attachment level (CAL) in pockets treated with Er,Cr:YSGG laser. A secondary goal was to evaluate and compare gain and regression in sites of different PD and CAL baseline conditions from 3 months post-treatment up to 2 years. A review of patient records treated during January 1, 2005 to December 31, 2009 that fits the following inclusion criteria were selected for review. A total of sixteen (16) patients, 8 male and 8 female, with an average age of 50.4 years (from 41 to 65 years) were included. The selected cases were based on the following inclusion criteria: 1) patients 18 or older; 2) single or multi-rooted teeth; 2) patients that received the same laser treatment including: laser settings, procedural steps and technique; 3) Patients that were followed every 3 months for at least 2 years, and 4) patients that had no surgery for 12 months prior to treatment. There was no exclusion of smokers or patients with medical conditions. Out of the 16 patients, 6 were smokers, 5 with high blood pressure and one with diabetes. The only exclusion was patients who received antibiotics and anti-inflammatory medication in addition to the laser treatment. Electronic clinical records from these 16 patients – total of 126 teeth, with pocket depths ranging from 4 mm to 9 mm – were treated with the same protocol using the Er,Cr:YSGG laser. The mean baseline probing depths (PD) for the 4-6 mm group were 5.0 mm and clinical attachment levels (CAL) were 5.0 mm. For the 7-9 mm group, the mean baseline PD were 7.5 mm with the mean CAL being 7.6mm. There was no control group included as part of the study. All patients selected in this study were enrolled in an initial oral hygiene program including scaling and root planing. One month after the initial treatment, each patient was reevaluated. Patients with unresolved clinical attachment loss were treated with laser periodontal therapy. The laser therapy included mechanical supra-gingival prophylaxis and initial sub-gingival debridement performed utilizing ultrasonic scalers (Cavitron, Dentsply, York, PA). A topical anesthetic gel comprising of three pharmacy formulated compounds (Depblu Dental Gel, Steven’s Pharmacy, Costa Mesa, CA) was then applied inside the pocket with a microbrush prior to laser treatment. The Er,Cr:YSGG laser was used to perform minimally invasive soft tissue and root surface procedures on each pocket. The Er,Cr:YSGG laser was used at a power setting of 1.0 W, fluence of 16.99 J/cm2, a 30 Hz repetition rate and with a water spray of 20% water and 11% air. The laser energy was delivered using an MZ type tip with a diameter of 500 microns and 14 mm in length. The following treatment steps were performed using the Er,Cr:YSGG laser: a) outer-epithelium layer ablation; b) removal of diseased and inflamed epithelium lining with slight troughing to increase visibility beyond the gingival margin; and c) root surface removal and cleaning of calcified bacterial deposits, biofilms, and smear layer d) removal of granulation tissue from bony defects. The troughing step began by placing the fiber parallel to the root surface and just coronal to the tissue next to the root. Tissue was ablated while the tip was moved from side to side. This created a “slot”. The slot extended from the free gingival margin to the crest of the bone. Granulation tissue within intrabony defects was ablated until the defect was clean. The speed of tissue removal was determined by sight. The operator used high powered loupes to visualize tissue ablation beyond the fiber tip as the tip was moved apically. Root preparation was performed with the fiber tip at a 10° – 15° angle against the surface moving up and down in one or more passes and from side to side to ensure complete removal and cleaning. Upon completion of laser therapy, pressure was applied to the outer gingiva with moist gauze for approximately 3 minutes. Pressure created during this time allowed for a thin layer of coagulated blood to form and seal the laser treated pocket. The coronal portion of the pocket was then sealed using a cyanoacrylate based topical medication (Soothe-n-Seal™, Colgate Orabase). The barrier provided by the gel assisted in reducing food debris entrapment for the first 48 hours during early wound closure. There were no sutures or splints or antibiotic dressing used in treatment. The patients were trained and asked to follow a rigorous hygiene program. Immediately after the treatment, patients were advised not to use a toothbrush for the first 24 hours. Patients were instructed to rinse with a Chlorhexidine Gluconate oral solution twice a day for two weeks and to use a soft-bristle toothbrush. A requirement was to floss daily for a healthy hygiene regiment. Supra-gingival professional cleaning and reinforcement of oral hygiene was conducted at baseline and every 3 months after. Oral hygiene instructions were reinforced at every appointment and tailored to the patient. There was no probing performed in the weeks immediately after the treatment. First probing was performed at the 3 months visit. All treatments were performed by the same clinician, a board certified periodontist. The probe used at all recalls was a Williams-O probe with 25 g of force. The measurements were performed by one of two clinicians. The two clinicians were calibrated several times throughout the study period on non-study patients. The overall experience with the probe was 20 years. The data and measurements analyzed in this study included: gender, age, PD, and CAL at six sites per tooth (mesio-vestibular, mid-vestibular, disto-vestibular, mesio-lingual, mid-lingual and disto-lingual). Statistical analysis was conducted with assistance of a statistician. A paired t-test method was used to compare the mean scores of all investigated clinical parameters from the baseline every three months to two years. Mean and mean changes from baseline in PD and CAL at 3 and 6 months and 1 and 2 years are presented in Table 1. All laser treated pockets demonstrated a significant reduction in pocket depth in all groups and time points. At the end of 3 months, the pocket depths had an average reduction of 2.0±1.1 mm for 4-6 mm pocket group, resulting in a mean PD of 3.0 mm. In the 7-9 mm group, there was an average reduction of 4.3±0.9 mm resulting in a mean PD of 3.3 mm. At the 2 year mark, the average PD was 3.2 ± 1.1 mm for the 4-6 mm pocket group and the 7-9 mm pocket group had a mean PD of 3.7 ± 1.2 mm. CAL also improved at the 3 month mark. It improved by 1.9±1.2 mm resulting in a mean CAL of 3.1 mm for the 4-6 mm pockets and an improvement of 4.3±0.9 mm resulting in mean CAL of 3.3 mm for the 7-9 mm pocket group. At the end of the 2 year mark, mean CAL was 3.1 ± 1.1 mm for the 4-6 mm group and 3.6 ± 1.2 for the 7-9 mm group with an overall reduction of 1.9 mm and 4.0 mm respectively. Figure (1A and 1B ) show the changes on the PD and CAL during the duration of the study. For the 4-6 mm group, the mean pocket depth reported at 3 months was maintained up to 2 years to within 0.2 mm from the 3 mm normal pocket. The 7-9 mm group also maintained to within 0.5 mm from the 3 month gains during the duration of the study. (1A and 1B). Mean PD gain over time in 4-6 mm pockets (Fig. 1A) and 7-9 mm pockets (Fig. 1B) a comparison to the normal 3 mm pockets depth. This study suggests that the use of a minimally invasive Er,Cr:YSGG surgical laser to treat moderate to advanced periodontal pockets along with routine conventional cleaning every 3 months led to a significant reduction in pocket depths ≥ two years post treatment. It also improved CAL ≥ two years post-treatment. At 1 year the average recession was 0.2 mm in both 4-6 and 7-9 mm pockets. There was no recession at the 2 year follow-up. By using a minimally invasive surgery (MIS) approach, full flap reflection was not necessary. The challenges for MIS have been access to the infection within the periodontal pocket and the ability to visualize the defect and root surface during treatment. Periodontal endoscopes have been employed to visualize the periodontal pocket, but can be difficult to use. After visualizing the site, the clinician typically still has to debride blindly, and then use the endoscope to reevaluate. Microsurgical procedures performed with magnification must also deal with visual impairment from blood in the surgical site. This case study depicts the steps for minimally invasive procedures utilizing the Er,Cr:YSGG laser to treat moderate to advanced periodontal pockets. The differences from other reported MIS procedures include the ability to ablate the tissue lining of the periodontal pocket [12 Harrel SK. A minimally invasive surgical approach for periodontal regeneration: surgical technique and observations J Periodontol 1999; 70: 1547-57.]. The ablation reduces the amount of bleeding and the air and water from the laser also rinses the site during debridement and affords some direct vision. With the ablation, the surgeon can also retract the tissue for some direct visualization of the periodontal defect. The granulation tissue often seen can also be removed during the troughing step as described previously. While troughing the tissue lining the pocket, sulcular epithelium and granulation tissue were removed from the free gingival margin to the crest of the bone. Intrabony defects were also debrided during this time. Using a probe or small curette, the operator was able to retract the tissue and increase visibility of the root and bone. Magnification loupes, a fiber-optic light and the 500 µm laser emitting tip were instrumental in keeping this treatment minimally invasive. The small laser incision allowed minimal bleeding from the soft tissue and bone. This MIS approach allows for “open” access to the root when treating deep pockets, without the trauma of laying a flap. The Er,Cr:YSGG laser was also used to treat the surface of the root, removing the possible residual calculus and smear layer from the root [13 Eberhard J, Ehlers H, Falk W, et al. Efficacy of subgingival calculus removal with Er:YAG laser compared to mechanical debridement: an in situ study J Clin Periodontol 2003; 30(6): 511-8.]. Ting et al. found that that the Er,Cr:YSGG laser was efficient at removing calculus from the root without morphological changes with settings of 1 watt using air and water [14 Ting CC, Fukuda M, Watanabe T, et al. Effects of Er,Cr:YSGG laser irradiation on the root surface: morphologic analysis and efficiency of calculus removal J Periodontol 2007; 78(11 ): 2156-64.]. In addition, cell adhesion to surfaces that are infected have been shown to be impaired [15 Schwarz F, Aoki A, Sculean A, et al. In vivo effects of an Er:YAG laser, an ultrasonic system and scaling and root planning on the biocompatibility of periodontally diseased root surfaces in cultures of human PDL fibroblasts Lasers Surg Med 2003; 33: 140-7.]. In a study by Hakki et al., it was concluded that root surface ablation with an Er,Cr:YSGG laser, when used at appropriate settings, is effective and can be used to perform scaling and root planning in the treatment of periodontitis [16 Hakki SS, Berk G, Dundar N, Saglam M, Berk N, et al. Effects of root planing procedures with hand instrument or erbium, chromium yttrium-scandium-gallium-garnet laser irradiation on the root surfaces: a comparative scanning electron microscopy study Lasers Med Sci 2010; 25(3 ): 345-53.]. The same studies concluded that the micro-morphology of the laser prepared root surfaces may also be more suitable for repair of the periodontal attachment by demonstrating that the laser prepared surfaces were more biocompatible for periodontal fibroblast attachment than root surface treated with curettes [17 Hakki SS, Korkusuz P, Berk G, et al. Comparison of Er,Cr:YSGG laser and hand instrumentation on the attachment of periodontal ligament fibroblasts to periodontally diseased root surfaces an vitroin study J Periodontol 2010; 81: 1216-25.]. However, the study suggested that additional work is needed to confirm their findings and hypothesis. As mentioned previously, an objective of periodontal treatment is a thorough removal of calcified bacterial deposits, biofilms and smear layer from the surfaces of the teeth and roots. The removal of the calcified deposits using conventional instrumentation will not remove the biofilm and smear layer. The risk of re-infection from bacteria and bacteria endotoxin contaminated smear layer is inevitable [18 Polson AM, Frederick GT, Ladenheim S, Hanes PJ. The production of a root surface smear layer by instrumentation and its removal by citric acid J Periodontol 1984; 55: 443-6.]. That has been recognized as the down side of current conventional instruments that produce smear layer. Recently, a few studies have been published that demonstrate the ability of the Er,Cr:YSGG laser to kill bacteria in infected tissue. Schoop and Gordon et al. demonstrated the ability to disinfect deep layers of E. faecalis infected dentin when using the Er,Cr:YSGG laser [19 Schoop U, Kluger W, Moritz A, et al. Bactericidal effect of different laser systems in the deep layers of dentin Lasers Surg Med 2004; 35: 11-6., 20 Gordon W, Atabakhsh VA, Meza F, et al. The antimicrobial efficacy of the erbium, chromium: yttrium-scandium-gallium-garnet laser with radial firing tips on root canal dentin walls infected with Enterococcus faecalis. J Am Dent Assoc 2007; 138(7): 992-1002.]. Another laser eradicated organism reported in the Schoop study was E. coli. Although these organisms are not the typical bacteria found in periodontal pocket, it is believed that the ability of this laser to kill bacteria may be extrapolated to other types, including those present in periodontal pockets [19 Schoop U, Kluger W, Moritz A, et al. Bactericidal effect of different laser systems in the deep layers of dentin Lasers Surg Med 2004; 35: 11-6.]. Studies from Eversole and Hossain et al. analyzed Er,Cr:YSGG laser prepared enamel and dentin surfaces reported on the topography as rough with recrystallization, and lack of a smear layer [21 Eversole LR, Rizoiu IM. Preliminary investigations on the utility of an erbium chromium YSGG laser J Calif Dent Assoc 1995; 23: 41-7.-23 Hossain M, Nakamura Y, Yamada Y, et al. Effects of Er CR:YSGG laser irradiation in human enamel and dentin ablation and morphological studies J Clin Laser Med Surg 1999; 17: 155-9.]. Studies by Schoop et al. have shown the Er,Cr:YSGG laser as a suitable wavelength for removal of smear layer and elimination of bacteria in root canals [24 Schoop U, Goharkhay K, Klimscha J. The use of the erbium chromium: yttrium-scandium-gallium-garnet laser in endodontic treatment: the results of an in vitro study J Am Dent Assoc 2007; 138: 949-55.]. A surface without smear layer and the micro-structure as described in the previous studies can be associated with processes where collagen fiber, amino acid collagen fiber, or amino acid sequences that are selectively chemotactic accept fibroblasts similar to those observed with acid demineralization of root surfaces [25 Fernyhough W, Page RC. Attachment growth and synthesis by human gingival fibroblasts on demineralized or fibronectin-treated hormal and diseased tooth roots J Periodontol 1983; 54: 133-40.]. The patient’s medical conditions, smoking history, and other environmental factors were not evaluated in this study. The patients with hypertension were well controlled with medications and should not have been a factor. In regards to smoking, it is well established in literature and in practice indicating the negative effects of periodontal wound healing associated with smoking [26 Javed F, Al-Rasheed A, Almas K, Romanos GE, Al-Hezaimi K. Effect of cigarette smoking on the clinical outcomes of periodontal surgical procedures Am J Med Sci 2012; 343(1): 78-84.]. However, we did not evaluate this individually when the data was processed. We also did not compare the outcomes of this study with a control group that did not receive laser treatment or received other types of therapy. This would be an area that would benefit from additional studies in the future. During this study, the operator did monitor the time needed for treatment of each quadrant. On average, the minimally invasive surgical laser treated quadrants required 40% less time to treat when compared to quadrants treated by the same clinicians with an open flap. The troughing technique also required less time than incisions and flap reflection. Scaling and root planing has been found to be equally effective as surgical treatments in the 4 to 6 mm pocket depth range for initial treatment. But studies have not shown that repeated scaling and root planing has much benefit [27Lindhe J, Nyman S, Karring T. Scaling and root planing in shallow pockets J Clin Periodontol 982; 9(5): 415-8.]. A possible application for laser treatment is to improve these pocket depths on patients with persistent pockets greater than 4 to 6 mm after initial therapy. In conclusion, the Er,Cr:YSGG laser is an effective minimally invasive surgical modality for treatment of moderate to advanced periodontal diseases with significant improvement in probing depth, clinical attachment level and healing of the pocket that is sustained for at least 2 years post-treatment. In this case, periodontal therapy using an Er,Cr:YSGG laser is a viable alternative to scaling and root planing, surgery or other laser modalities of treatment that apply to clinical conditions similar to the cases reported in this study. We would like to thank Sue Fredrickson in the editorial assistance of this manuscript. Drs. Dyer and Sung have served as consultants to Biolase Inc.
 Engebretson SP, Emingil G, Lamster IB. Inflammatory Response in Periodontal Diseases In: Wilson TG, Kornman KS, Eds. Fundamentals of Periodontics. 2. Chicago: Quintessence 2003; pp. 144-57. Page RC, Schroeder HE. Pathogenesis of inflammatory periodontal disease a summary of current work Lab Invest 1976; 34: 235-49. Kaldahl WB, Kalkwarf KL, Patil KD, Dyer JK, Bates RE Jr. Evaluation of four modalities of periodontal therapy. Mean probing depth, probing attachment level and recession changes J Periodontol 1988; 59: 789-93. Pihlstrom BL, Ortiz-Campos C, Mchugh RB. A randomized four years study of periodontal therapy J Periodontol 1988; 52: 227-42. Goldman L, Gray JA, Goldman J, Goldman B, Meyer R. Effect of laser beam impacts on teeth J Am Dent Assoc 1965; 70: 601-. Watanabe H, Ishikawa I, Suzuki M, Hasegawa K. Clinical assessments of the erbium:Yag laser for soft tissue surgery and scaling J Clin Laser Med Surg 1996; 1: 67-75. Schwarz F, Sculean A, Geog T, Reich E. Periodontal treatment with an Er:Yag laser compared to scaling and root planning a controlled clinical study J Periodontol 2001; 72: 361-7. Schwarz F, Sculean A, Berakdar M, Georg T, Reich E. Clinical evaluation of an Er:Yag laser combined with scaling and root planing for non-surgical periodontal treatment a controlled prospective clinical study J Clin Periodontol 2003; 30: 28-35. Schwarz F, Sculean A, Berakdar M, et al. Periodontal treatment with an Er:Yag laser or scaling and root planning a 2-year followup split mouth study J Periodontol 2003; 74: 590-6. Prichard J. The infrabony technique as a predictable procedure J Periodontol 1957; 28: 202-16. Becker W, Becker BE, Berg L, Samsam C. Clinical and volumetric analysis of three-wall intrabony defects following open flap debridement J Periodontol 1986; 57(5): 277-85. Harrel SK. A minimally invasive surgical approach for periodontal regeneration: surgical technique and observations J Periodontol 1999; 70: 1547-57. Eberhard J, Ehlers H, Falk W, et al. Efficacy of subgingival calculus removal with Er:YAG laser compared to mechanical debridement: an in situ study J Clin Periodontol 2003; 30(6): 511-8. Ting CC, Fukuda M, Watanabe T, et al. Effects of Er,Cr:YSGG laser irradiation on the root surface: morphologic analysis and efficiency of calculus removal J Periodontol 2007; 78(11 ): 2156-64. Schwarz F, Aoki A, Sculean A, et al. In vivo effects of an Er:YAG laser, an ultrasonic system and scaling and root planning on the biocompatibility of periodontally diseased root surfaces in cultures of human PDL fibroblasts Lasers Surg Med 2003; 33: 140-7. Hakki SS, Berk G, Dundar N, Saglam M, Berk N, et al. Effects of root planing procedures with hand instrument or erbium, chromium yttrium-scandium-gallium-garnet laser irradiation on the root surfaces: a comparative scanning electron microscopy study Lasers Med Sci 2010; 25(3 ): 345-53. Hakki SS, Korkusuz P, Berk G, et al. Comparison of Er,Cr:YSGG laser and hand instrumentation on the attachment of periodontal ligament fibroblasts to periodontally diseased root surfaces an vitroin study J Periodontol 2010; 81: 1216-25. Polson AM, Frederick GT, Ladenheim S, Hanes PJ. The production of a root surface smear layer by instrumentation and its removal by citric acid J Periodontol 1984; 55: 443-6. Schoop U, Kluger W, Moritz A, et al. Bactericidal effect of different laser systems in the deep layers of dentin Lasers Surg Med 2004; 35: 11-6. Gordon W, Atabakhsh VA, Meza F, et al. The antimicrobial efficacy of the erbium, chromium: yttrium-scandium-gallium-garnet laser with radial firing tips on root canal dentin walls infected with Enterococcus faecalis. J Am Dent Assoc 2007; 138(7): 992-1002. Eversole LR, Rizoiu IM. Preliminary investigations on the utility of an erbium chromium YSGG laser J Calif Dent Assoc 1995; 23: 41-7. Eversole LR, Rizoiu IM, Kimmel AI. Pulpal response to cavity preparation by an erbium, chromium YSGG pulsed laser hydrokinetic system J Am Dent Assoc 1997; 128: 1099-6. Hossain M, Nakamura Y, Yamada Y, et al. Effects of Er CR:YSGG laser irradiation in human enamel and dentin ablation and morphological studies J Clin Laser Med Surg 1999; 17: 155-9. Schoop U, Goharkhay K, Klimscha J. The use of the erbium chromium: yttrium-scandium-gallium-garnet laser in endodontic treatment: the results of an in vitro study J Am Dent Assoc 2007; 138: 949-55. Fernyhough W, Page RC. Attachment growth and synthesis by human gingival fibroblasts on demineralized or fibronectin-treated hormal and diseased tooth roots J Periodontol 1983; 54: 133-40. Javed F, Al-Rasheed A, Almas K, Romanos GE, Al-Hezaimi K. Effect of cigarette smoking on the clinical outcomes of periodontal surgical procedures Am J Med Sci 2012; 343(1): 78-84. Lindhe J, Nyman S, Karring T. Scaling and root planing in shallow pockets J Clin Periodontol 982; 9(5): 415-8.